I finished adjusting the colors on my Fun with Fox : Fall illustration. I can't wait to mock up this piece on a plate set like my Fun with Fox: Summer Dish Set. Hello and welcome! 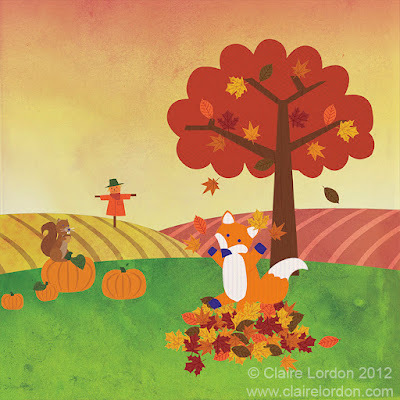 My name is Claire Lordon and I'm an illustrator and designer in Vancouver, Canada I'm a children's book author-illustrator, and I do work for greeting cards, and art licensing. © 2016 Claire Lordon. Claire.Lordon@gmail.com. Powered by Blogger.